Dr. Landen’s research focus is on novel therapeutics and chemotherapy resistance in gynecologic cancers, primarily ovarian cancer. He conducts preclinical and clinical research developing models to better-understand the pathways contributing to chemotherapy resistance and how recurrence develops. Mechanisms he has focused on include cancer stem cells, ABC transporters, and the Notch, Hedgehog, and Wnt pathways. His investigations have led to development of clinical trials seeking to overcome chemotherapy resistance. 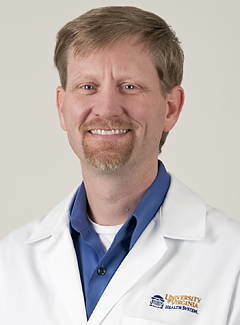 Clinically, his areas of interest include minimally invasive surgery, management of primary and recurrent ovarian cancer, and sentinel node dissections. He is the Associate Leader of the Women’s Oncology Program in the UVA Cancer Center.